Thousands of people died this year in wildfires, hurricanes, earthquakes, and other natural disasters. Climate scientists say these events will become even more severe as global temperatures keep rising. Some of this year's natural disasters set records based on the number of deaths and other factors like wind speed and amount of rainfall. Natural disasters devastated communities around the world in 2018, killing thousands of people and inflicting billions of dollars in damage. In September, at least 1,900 people died in Indonesia after a magnitude 7.5 earthquake and a subsequent tsunami with waves as high as 20 feet. The following month, Hurricane Michael, the strongest storm to hit the United States in 50 years, devastated North and South Carolina and killed dozens of people. Some of the worst fires in US history hit California shortly afterward, melting cars, reducing bodies to bone, and wiping out an entire town. Much of the record-breaking devastation was caused by elevated temperatures on land and at sea. In a warming world, climate scientists say these disasters will only continue to become more severe. Here are some of the year's worst natural disasters. In October, Hurricane Michael became the strongest storm to ever hit the Florida Panhandle. It has since been linked to 60 deaths. 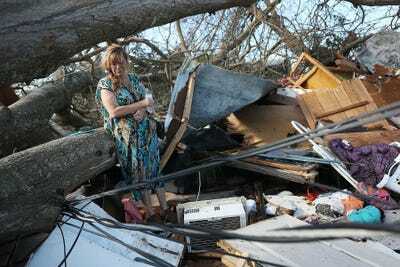 Hurricane Michael, which had sustained winds of 155 mph, is also the strongest hurricane to hit the continental US during the month of October. No other Category 4 storm has ever hit the Panhandle area. 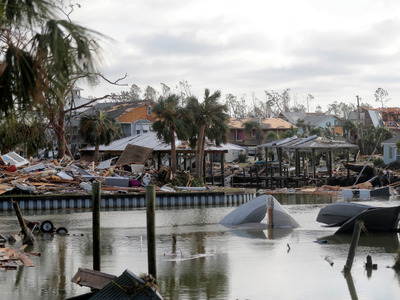 Nationwide, Hurricane Michael was the third-strongest ever, behind only Hurricane Camille and the 1935 Labor Day hurricane. The latest hurricane left a wake of destruction in Florida, destroying entire rows of homes in the seaside town of Mexico Beach. Mexico Beach, a small seaside town, was one of the hardest-hit areas. About 285 of the town's roughly 1,000 residents stayed behind during the hurricane. The Rev. Eddie LaFountain, a pastor in Mexico Beach, said he thought most residents would rebuild their homes. "I think the people here have a great heart and a lot of resilience," LaFountain told the Associated Press. "We call them stubborn and hard-headed. I think they will be back." 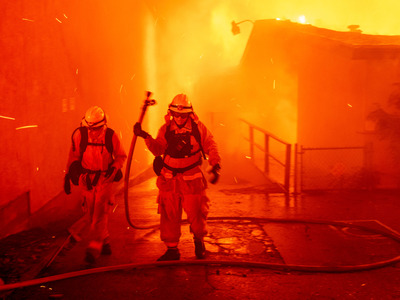 The Camp Fire, which began on November 8, was the deadliest and most destructive fire in California's history. At least 88 people were killed in the blaze. The Camp Fire burned through 153,000 acres in and around Paradise, a town in northern California. It burned an area five times the size of San Francisco. More than 13,900 homes and 500 businesses were destroyed in the Camp Fire, along with more than 4,200 other buildings. 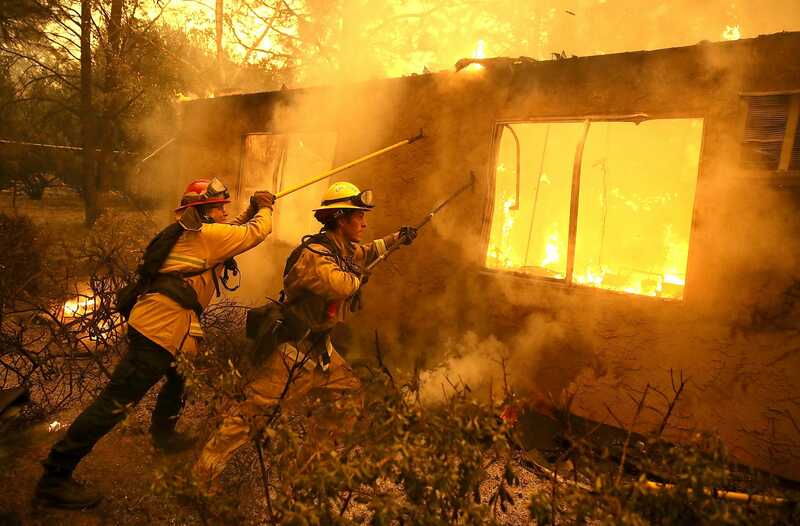 It was the most destructive wildfire in state history based on structures lost.